Often when you spend money at a store, or pay a vendor for something, the whole amount does not apply to one specific category. You may buy office supplies, cleaning equipment, and food for an office party all at once. 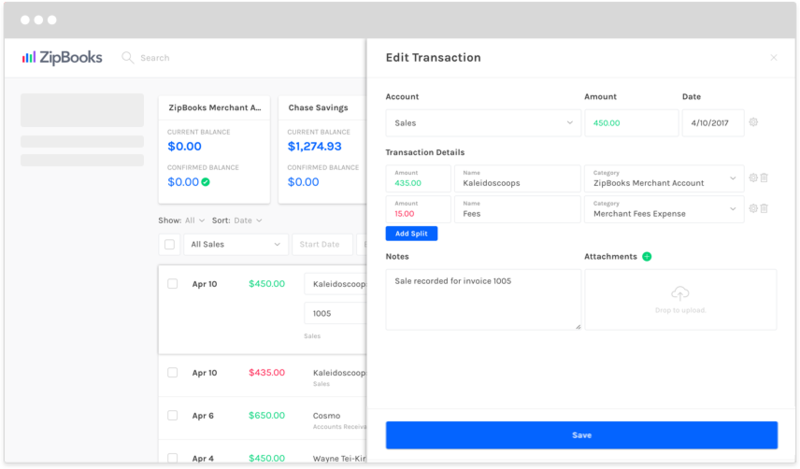 When you’re adding that transaction to your books, ZipBooks lets you split up the expense however you need to. Divide by category, and attach amounts to different reporting tags or customers as needed, so that your records are detailed and accurate.